Article by the Corporate Rebels. In the majority of today’s organizations we are used to a centralized authority which holds most of the decision making power. Traditionally, the decision making authority of a particular individual is strongly linked to his or her position in the organizational hierarchy. It leads to situations where just a few people (at the top of the hierarchical pyramid) are responsible for calling all the important shots. Subsequently, in many cases the decisions made at the ‘top’ cascade down the organizational chart and the employees on the frontline are supposed to neatly execute these orders. This blog post describes one of the 8 trends of highly progressive workplace; the transformation from centralized to distributed authority. Check out an overview of the trends and the Corporate Rebels canvas here. Most organizations are organized around some sort of command-and-control approach. Employees first have to seek approval from the top before they can make important decisions. Things are getting done but lots of people are getting frustrated in the process. Even worse, these outdated processes and procedures are eventually hurting the organization’s bottom line. Why? For one reason because employees on the frontline often have a much better understanding of the products, processes, machines, customers and clients than the people in the top of organizations. And because these frontline employees are often much better informed about the reality of the day to day operation. It doesn’t make any sense that they are not the ones that make the most important decisions. They are actually the ones that would be able to make the fastest and best informed decisions, but our processes and procedures simply don’t allow them to do so. Employees can make the fastest and best decisions, while most companies don’t allow them to do so. As opposed to the traditional command-and-control structures, many of the progressive organizations we’ve visited have a radically different approach. These organizations understand that in order to constantly adapt to a rapidly changing working environment, they have to truly distribute authority and decision making to frontline individuals and teams. But how can this be done? And how do you effectively replace the centralized authority by a distributed decision-making process while not ending up in a terribly slow (and sometimes frustrating) consensus process? Let’s look at some of the things we learned from the world’s most progressive organizations. David’s approach is all about pushing the authority down the organizational chart as much as possible. Similar approaches start by leaders identifying where in the organization decision making authority is established, required or specified. They make an overview of all their current decision making authority and make this visible by, for example, plotting it on a wall. In a next step they ask the employees to join them in the process and ask them to identify all decisions that might be candidates for being pushed down to a lower level in the organization. The employees will identify all the decisions they think they’re capable of making and share their thoughts with their leader. In a constructive dialogue the team will then share concerns and find solutions once the decisions are being delegated. As a result, many of the decision making authority will end up in a lower level of the pyramid while leaders don’t have to worry about undesired outcomes. It frees leaders from making countless decisions and from becoming the bottleneck for quick decisions. At the same time, they enable frontline staff to make calculated decisions that speed up the complete organization. Another powerful practice that enables distributed decision making in a functional hierarchy was shown to us by Henry Stewart. He talks about a practice called pre-approval. Pre-approval prevents employees from being micromanaged and from going through various layers of approval before they can make their final decisions. During a pre-approval process, the leader or manager approves someone’s decision before they even come up with it. Collectively they (for example) agree on the guidelines, the budget and on who needs to be consulted during the process. But, in all times the leader must pre-approve with the final implementation, whatever decision, solution or idea the employee will come up with. The process enables employees to really own their decisions. At the same time it frees leaders from the need to try to convince and persuade their people to go into a predefined direction. It forces the employees to feel fully invested in the decisions they make themselves. They will experience ownership and will do everything in their power to make their decision a success. Success rates will raise just as levels of ownership, entrepreneurship and pride. Besides just ownership, the process also provides employees with the freedom and space to innovate, to be creative and to be able to improve continuously. In the end, the people on the front line know best what issues the organization is facing on a day to day basis. And these front line people are also the ones that know best how to solve those issues and how to improve the lives of their customers and suppliers! Another powerful practice to truly distribute decision making authority throughout the organization is the so-called advice process. We saw the advice process being used in different kinds of organizations in a wide variety of forms (we have been writing about the process before). The concept is relatively simple, and once it has been rightly established it often proves to be incredible effective. It enables everybody in the organization to take up decision making authority. Which means that, in principle, anybody in the organization is able to make any decision. There is however one important condition. Before a person makes any decision, he or she is supposed to seek advice from the people who will be affected by the decision and from the people with expertise in the matter. All the collected advice and perspectives must be taken seriously, but the initial decision maker will decide what he or she believes is the best course of action. In this process, advice is just advice. No one can force the decision maker to make a certain decision. 3. The decision-maker then seeks advice from the people being affected by the decision and by the people who have expertise in the matter. 4. Taking the advice into account as best as possible, the decision maker makes his or her final decision. 5. The decision maker takes action and informs all the people who have been given advice about the final decision. The process does not search for a consensus, and therefore not everyone has to agree with the final outcome. In fact, not even everyone has to necessarily be involved and consulted in the decision making process. The decision maker is just supposed to collect enough relevant advice and information to make a thorough decision. The process is designed in such a way that the decision making power and the responsibility lies entirely with the decision maker. There is no overruling authority that can eventually block the outcome if they don’t like the decision that is being made. It makes the process incredibly effective and resilient. 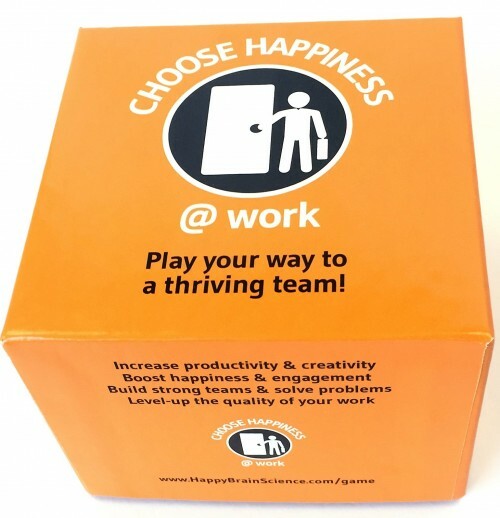 It enables employees to take initiatives and to take matter in their own hands. Thereby it does prevent employees from making frustrating watered down compromises that slow down the entire organization. But most importantly, it enables employees to experience real ownership over the decisions of their day to day tasks. But be aware, with the freedom of decision making comes the responsibility and accountability for the result. A great example of an organization that works with the advice process is tomato processor Morning Star. It should be noted that distributed authority always requires a certain level of organizational transparency to make it work properly. Most often we witness cultures based on radical transparency, where all information is available in real time for everyone in the organization. Distribute decision making: (1) remove control mechanisms, (2) pre-approve, and (3) use the advice process. This helps employees to make the right decisions at the right moment. We’ll dive into the trend of radical transparency in one of our next blog posts. In the meantime, get ready for some more status-quo challenging practices.